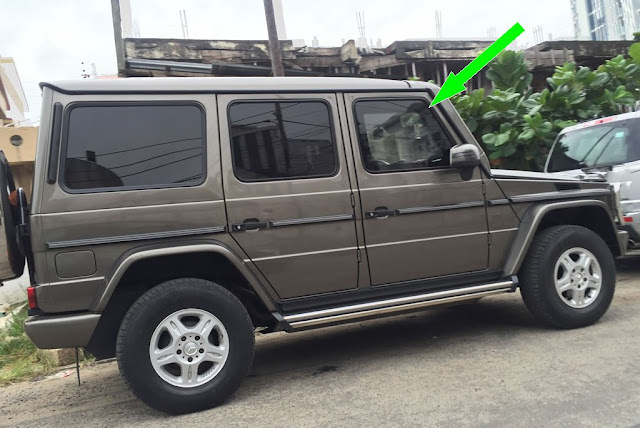 Home > TECH NEWS > 5 Ways To Identify Bullet Proof Cars On Nigerian Roads. 5 Ways To Identify Bullet Proof Cars On Nigerian Roads. If a census of bulletproof cars were to be conducted, it would likely reveal that Nigeria has one of the highest around. With over 110,000 bullet proof cars in use worldwide, our politicians and business executives have put Nigeria on the map of top markets for car armouring companies. These companies also got tonnes of demand from Nigerian before the 2015 election. These cars are popular in Nigeria but many of us don’t recognise them. Some people don’t recognise them because the makers usually leave the external appearance unchanged. This is however a security measure which makes the cars look as inconspicuous as possible. I always wonder when people ask me “how did you know that’s a bullet proof car”? And I am like, can’t you see it written all over the ride? In bulletproofing, the vehicle glass is referred to as “transparent armor.” It is a sandwich of polycarbonate (plastic) and leaded glass. This thick layered glass is the most obvious part that reveals the identity of bullet proof cars. Similarly, see pictures in this post.. and the windscreen and window edges will give you a clearer understanding of what the glass looks like. Can you now see the thick dark edges? These tyres provide the ability to keep driving even if the tyres have been shot. Run flat tyres which is also used by conventional cars can help you travel an additional 100 kilometres before replacement. These tyres can be identified by their thick sidewalls and additional side bolstering which are wrapped around the tyres. The bolstering prevents the wheels from touching the ground when the tyres go flat. Up-close, you’ll also see the RSC inscription on the car tyres. The RSC means Run-flat System Component. Furthermore, you could see other codes like SSR (Self Supporting Run Flat), EMT (ExtendedMobility Tyre), ZP (Zero Pressure), DSST (Dunlop Self Supporting Tyre) etc.. depending on the tyres that comes with the car. Note that some conventional cars also come with run flat tyres. If you are a fan of Alex Mahone in Prison Break, I am sure you’ll remember how he was able to identify the bullet proof Limo amongst other Limos. A car that is carrying additional weight of 550 kg to 1,000 kg can be singled out if you have those eyes like Inspired Autos and Gidicars. This is due to the fact that some of the bullet proof cars may ride slightly lower and heavier than conventional cars despite their enhanced suspensions. To offer maximum protection, bullet proof car manufacturers recommend the non operational windows. So if you see the driver of that luxury ride who has to open the door of the car to get that document or to pay his fee at lekki toll gate, that ride is probably armoured. However, some still come with the rolling windows despite the fact that it compromises protection. This is an opening through which a gun can be fired. This feature is found in a few privately owned amoured cars. Nevertheless, it is common in bullion vans and those Rapid Response trucks. Finally, all these features and many more like the explosion-resistant fuel tank, comes at an average additional cost of $100,000 (N47 Million). This N47 Million excludes the purchase cost of the vehicle. Who can guess the name of the most popular bullet proof car in the world?